Present were Franco Borgogno, Louis Brunet, Patrizia Giampieri-Deutsch, Adela Leibovich de Duarte, Aleksandar Dimitrijevic, Jeff Prager, Robert Michels. – A panel titled “Psychoanalysis and the University”: Teaching psychoanalysis at the university was organized by Patrizia Giampieri-Deutsch. The panel was chaired by Franco Borgogno. Johannes Lehtonen presented on “The current Finnish experience relating to the recent introduction of psychoanalytic training in conjunction with universities”. Patrizia Giampieri-Deutsch spoke about “Teaching psychoanalysis at the university: Applied psychoanalysis, interface, and/or interdisciplinary dialogue?”, offering thoughts on the differences in teaching psychoanalysis within, say, a faculty of medicine, a faculty of psychology or a faculty of humanities, and on how can any possible differences in the transmission and spreading of psychoanalysis within different academic fields be framed (what needs to be considered when choosing the various themes, topics and methodologies of teaching). It followed a rich and a live discussion with colleagues from various disciplines. The presentations will be sent to all Committee members. Lehtonen announced that he will retire from the Committee. He should be replaced by someone from Finland (he suggested Henrik Enckell) because the Finnish experiences which connect the psychoanalytic societies to the universities are important for everyone. To this Conference are invited students in humanities and medicine but not only. Jeffrey Prager observes that “the title of the conference should be more substantive than what is being proposed. I think the title should invite students already including psychoanalytic themes or concepts in their research. Encouraging those to “ask questions about psychoanalysis you have been afraid to ask” does not strike me as something that would encourage scholars, already interested in psychoanalysis, to craft a new paper. The goal of this conference, I would think, is to begin a process of networking between young scholars who have psychoanalytic interests, and would be able to continue to develop following the end of the conference. – The panel titled “How can the challenge of trauma bring psychoanalysis and the university closer together? Historical, clinical, and research perspectives” will be chaired by Franco Borgogno. Presenters will be Peter L. Rudnytsky, Andreas Hamburger, and Aleksandar Dimitrijevic. Discussant will be Hugo Bleichmar. It will be scheduled on Thursday, July 23, 2015 2:00 PM – 3:30 PM Seaport A Room (Seaport). – Franco Borgogno will inform everyone, hopefully in June, about where and when the IPA Psychoanalysis and the University Committee meeting will take place. – IPA Publications Committee agreed to take into consideration a book we propose. Patrizia Giampieri-Deutsch and Franco Borgogno will be the editors of a volume with the history of this committee and selected papers which were presented in our Panels during the IPA and EPF Conferences. This year’s papers will be taken into consideration, too. 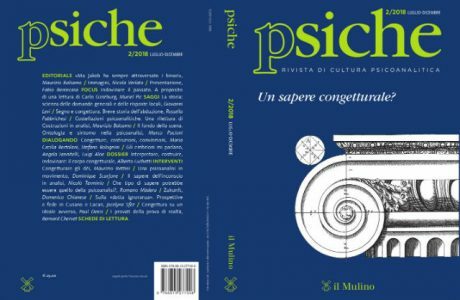 – Also the other book, edited by Aleksandar Dimitrijevic and Storck should be proposed for it to be published after the book of Franco Borgogno and Patrizia Giampieri-Deutsch. 5. Patrizia Giampieri-Deutsch communicates that she will propose a research project at the next meeting. 6. Regarding the electronic journal, as we know, Stefano Bolognini asked for postponement. 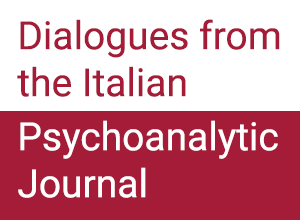 – Louis Brunet suggests that in the new international e-journal we have a section on psychoanalysis and the university. We do not know whether this is possible, because we have too little information at this moment. Louis Brunet will explore this possibility, letting us know. 7. 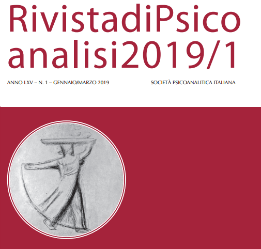 Regarding the replication of our classical research on “Psychoanalysis involved in Academia”, we decided to postpone this project looking forward to knowing if there are some members of our Committee who would really like to continue this research in Europe, in Latin America and in North America. 8. About the IPA Outreach Committee – Knowledge Library, we have to fill in their form. Everybody are asked to cooperate in filling this form. Aleksandar Dimitrijevic is encharged to help Franco Borgogno to fill it, egging on each member to participate in it. He says that these are two initiatives taken by the Committee for Psychoanalysis and the Academy of the American Psychoanalytic Association. Once they become established, there is little on-going work in its administration. 2- Peter Rudnytsky organizes a session at the MLA sponsored by the ApsaA. Franco Borgogno concludes the meeting asking to every member who has proposed a project to formulate it in order to include it in the next Budget following the previous Budget you have received. The next meeting will take place at 18:15, on May 23rd.